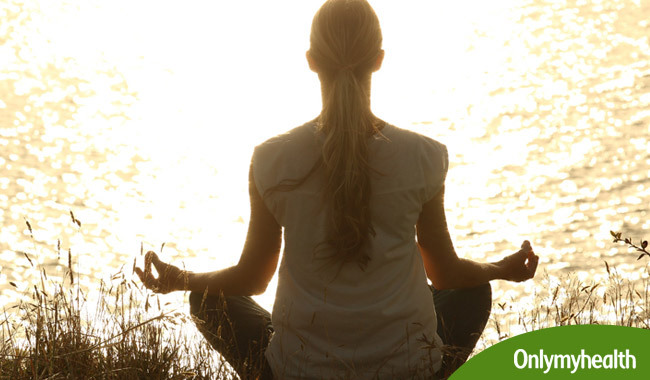 Migraines have emerged as a big problem, but it is curable with yoga. Suptpawanmukt will cure you of gastric as well as constipation problems. Chandrabhedi is advisable for the patients suffering from asthma. 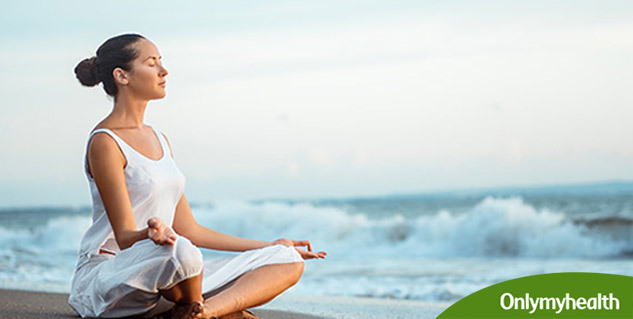 In today's stressful life, migraine has emerged as a big problem, but it is curable with yoga. The calmer we stay, the lesser our stress. If we are not disciplined, our mental balance can go off. 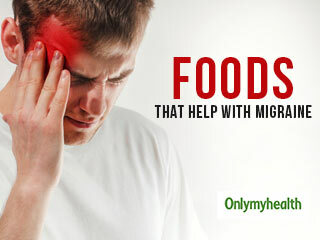 The main reason for a migraine is mental stress. It is more prevalent in women. Its symptoms are vomiting, vertigo and poor vision. 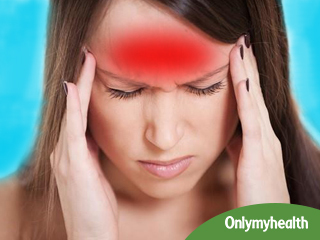 Sometimes when we get tensed, it causes a migraine or half-head pain. There are other reasons for this such as constipation, high blood pressure, irregular periods, indigestion, irregular food habits, improper food, inadequate sleep and excessive labour. Both your hands should be in Gyan Mudra. Eyes should be closed, back and neck should be in straight line. The mind will be calm and breathing will be normal. Sit in this position. Keep your neck and back straight, close your right nostril with the thumb of your right hand. Inhale from the left nostril and exhale from the right nostril. Practice this 12-15 times. (It is advisable for the patients suffering from asthma, bronchitis and low blood pressure). Practicing this yoga "Apan Vayu" is put out of the body. That is why it is called "Suptpawanmukt asana." Method: Lie down flat. Stretch both your legs straight, after that raise your right legs in a straight direction and turn your right leg from the knee by interlocking your ten fingers. Catch hold of your knees. After this, press your knees with your chest raising your neck, keep your knees to your neck. It must be kept in mind that our right leg should be a little bit above the ground. By stopping your breath as much as you can and finishing your asana first your neck and then your head should touch the ground. Practice this yoga by changing the position of your legs and hands. Benefits: This will cure you of gastric as well as constipation problems. Obesity can also be controlled. It cures rheumatic problems and the pain in knees. This yoga clears the blockage of lungs and heart. Women should practice this after pregnancy. Precautions: Patients suffering from high blood pressure, heart disease and neck pain should not practice this yoga. So, avoid chocolate, wine, cheese, lassi, peanuts, curd, banana, meat, soya sauce etc. Do not take unnecessary responsibility for multiple things at once. Plan your work with determination. Focus and concentrate on your work. Avoid too many things at one time. Shower fast jet of water on your body for 1 minute. Pour cold water on your head. Drink at least 12-14 glasses of water every day. Fast for a day in a week. Eat bitter gourd, coconut, carrot. Take salad, fruits and germinated grains.